The snow-capped mountain peaks, lush green countryside, sparkling lakes, thick wooded forests and enchanting religious places makes Himachal Pradesh a paradise for tourists. There are many Himachal Pradesh holiday packages are available at goaroundtours.com for you to choose from. Himachal Pradesh tour packages offer excellent choice for you to explore this northern state, which is blessed with Nature's beauty. So, plan your Himachal Pradesh vacation soon and enjoy this land's charm. Explore the heritage of Dharamshala with this exclusive 2 nights / 3 days holiday package with us that covers the heritage village Pragpur, the ancient Bhagsunag Temple and Fall, Dalai Lama temple complex etc. Right from rolling foothills, lofty hill stations, madcap traveler towns, apple orchards and serene pine forests, Himachal Pradesh has everything to make your holiday a memory for life. Visit the pious city of Amritsar- the land of Golden Temple, a prime pilgrimage centre for Sikh devotees. 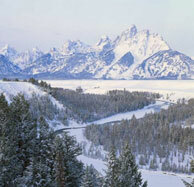 This package also includes visits to various tourist attractions of the city. Shimla is one of the most popular hill stations of the state of Himachal Pradesh. In order to offer you best of this hill resort and its famous tourist attractions, goaroundtours.com has designed this exclusive holiday package. So, don't wait anymore, book this tour now! Bounded by snow capped mountains and lofty pine forests with the swiftly flowing Beas River along, Manali is a popular hill resort located in Himachal Pradesh. goaroundtours.com brings this exclusive 5 nights and 6 days Manali Volvo tour package for you to explore the beauty of Manali. Get ready to enjoy a fun-filled weekend at Shimla, one of the most famous hill resorts of Himachal Pradesh. 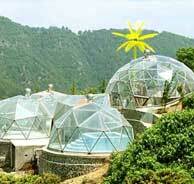 This tour package also includes excursions like Kufri and Chail. This 3 nights and 4 days holiday gives you a chance to capture the natural beauty of Dalhousie and Khajjiar, the two stunning hill resorts in Himachal Pradesh. Get ready to enjoy a wonderful holiday experience in Himachal Pradesh while visiting its famous destinations like, Kasauli, Shimla, Parwanoo and Chail. Book a tour now! Getting married soon and wondering where to go, book this Honeymoon package in Manali and be assured of having memorable moments of newlywed life! All travelers who are looking for short holiday including Kasauli, Shimla & Chail, book this tour now and get ready to enjoy some unforgettable memories of your life! To make your vacations special be it summers or winters, goaroundtours.com has planned this exclusive Shimla tour package that includes Chail. Pamper your adventure streak by booking this exclusive 3 nights’ tour package includes river rafting on River Beas, the ropeway to Mt. Phatru, excursion to Rohtang Pass (Snow Point), sightseeing and much more. Enjoy a delightful holiday in Himachal Pradesh by visiting its two most popular hill stations i.e., Dharamshala and Dalhousie. Book this tour right away! 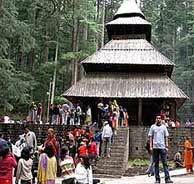 Spend some quite moments in the beautiful environs of Dalhousie. Also, enjoy glimpses of Dalhousie & Khajjiar and indulge in the scenic holiday destinations with this tour package. goaroundtours.com brings this charming 3 night’s tour package for Kullu and Manali, twp most stunning hill resorts in Himachal Pradesh. Get ready to enjoy the special holiday in Himachal Pradesh covering its two major attractions, Shimla and Manali. Book a tour now! This holiday package gives you a chance to capture the stunning beauty of Himachal Pradesh (Dalhousie and Dharamshala) and opportunity to visit Sikh pilgrimage -Amritsar. This holiday package gives a chance to rejuvenate on a luxurious weekend at the Oberoi Cecil in Shimla and explore this place’s beauty. Get ready to explore the stunning beauty of picture - perfect hill station, Manali, which is bounded by snowy mountains, pinewoods with the meandering Beas River. Get ready to explore the stunning hill resorts of Himachal Pradesh with this tour package i.e., Shimla and Kasauli with this tour package with us. Capture the mesmerizing beauty of the state of Himachal Pradesh with our 5 nights’ holiday package covering its major destinations like Shimla, Manali, Chandigarh and Delhi (to & fro). Whether you are a nature lover or adventure enthusiast, these destinations offers a lot of opportunities to take advantage from and let you enjoy your holidays! Get ready to enjoy a stay of 6 nights in Shimla and Manali and let the newlywed love bloom with memorable honeymoon in the beautiful environs of Himachal. Suiting all kinds of holidays, this week-long package holiday to Himachal Pradesh (with Amritsar) gives you a chance to explore various tourist destinations and attractions. This special tour to Himachal Pradesh includes visits to Shimla and Manali, the two most stunning and worth-visiting destinations of the state. So, book your tour now! Explore the beauty of Shimla and spend some time at the Parwanoo Timber Trail Resort & exciting ropeway tours with this exciting holiday package. Summer or Winter, whatever be the vacation plan, this week-long holiday tour package of stay in Shimla and Manali guarantees best of all you can experience! goaroundtours.com brings this charming Himachal tour package (with Chandigarh) that will surely make your holiday a cherishable memory for a lifetime! 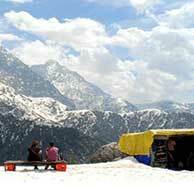 This week-long holiday package offers visit to best treasures of Himachal Pradesh. Enjoy visiting popular destinations (Shimla, Manali etc.) along with a luxury stay in the Fort Nalagarh (now a hotel). goaroundtours.com offers this exclusive 4 nights and 5 days Manali tour which covers almost everything that this blissful destination and famous tourist attractions. Travelers looking for a long rejuvenating holiday can find their way to Himachal Pradesh while visiting several destinations like, Shimla, Dharamshala, Manali, and Dalhousie along with Chandigarh! Capturing the stunning beauty of Himachal is not an easy task, thus, goaroundtours.com has designed this exclusive package that covers all worth-visiting hill resorts of it.